We work with leadership development programs and foundations investing in leadership to help them evaluate their current program, strategic efforts, or network; research a field of practice to inform their decision-making process; and develop learning networks. We tap into our extensive network of affiliates, which include some of the nation’s most innovative thought leaders in the areas of leadership development, evaluation, research, network development, facilitation of learning opportunities and more; to provide you with the best results possible. Our affiliates come from diverse backgrounds and bring expertise in a wide range of areas, including nonprofit leadership, social change, community leadership, philanthropy and community health. Claire Reinelt, PhD., formerly Research and Evaluations Director at LLC. Claire is a founding member of the Leadership Learning Community, and serves as convener of the Evaluation Learning Circle and the Boston Learning Circle. 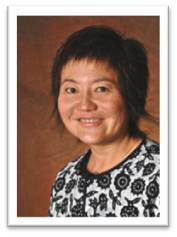 She joined the LLC staff as Research and Evaluation Director in 2005. 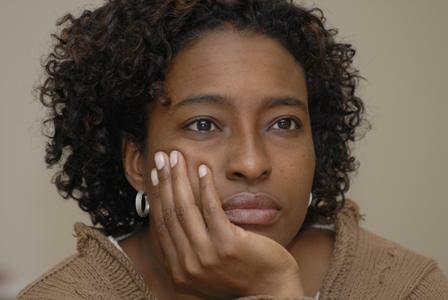 Claire has conducted research and evaluations for numerous foundations and leadership programs. Her clients include The W.K. Kellogg Foundation, The David and Lucile Packard Foundation, The California Endowment, among many others. Her particular areas of expertise are designing and implementing evaluations for complex leadership development initiatives that seek to have transformative and sustainable impacts for communities that result in greater equity, justice, health and well-being. Recently, she has focused attention on how to catalyze and unleash the power of leadership networks. In her consulting and facilitation work, Claire works with diverse stakeholders to deepen their capacity to learn from their experiences, improve their programs, and make a strong case for investing in leadership development. 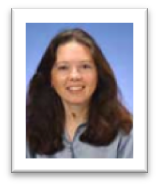 Claire is co-editor of the Handbook of Leadership Development Evaluation (Jossey Bass, 2007). She is co-author of a 2010 article in Leadership Quarterly on “Social Network Analysis and the Evaluation of Leadership Networks.” Many of her publications and writings are available on the LLC website. 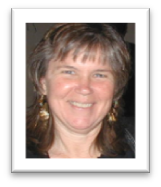 Claire has over 20 years of experience working in the social sector as an evaluator, facilitator, and consultant. She has a Ph.D. in Sociology from Brandeis University and an M.A. in Anthropology from University of Texas, Austin. My work is my passion - development of effective, supportive and appreciative environments for learning and continuous improvement. I consult with groups and organizations that want to perform at their highest level, regardless of starting point. For high quality outcomes, I encourage my clients to embrace the entirety of their truths and to be fully present and human in the organization. I have found the most effective techniques for this kind of coaching include: chartering, retrospectives, Open Space Technology, World Cafe and other inquiry and “inspect and adapt” process facilitation, and project management. I also provide coaching through Personal Retrospective and Personal Retrospectives for Leadership workshops and one-on-one sessions. 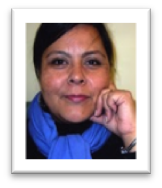 Belma González has been providing assets based, culturally aware coaching to nonprofit leaders and social justice activists since 2004. She is honored to work with diverse, multi-generational clients throughout the United States on leadership enhancement, change management, work/life transitions, balance and fulfillment. Belma works with a variety of leadership development programs (at present, thirteen different programs) for young, emerging leaders, established leaders and leaders in transition, all with the goal of strengthening and supporting the nonprofit sector and social justice movement. Belma is a co-founder of Prism Coaching, a group of coaches of color who consider the identification, understanding and use of cultural influences as an asset and she is working on projects to bring culturally diverse/appropriate coaching services to the nonprofit sector. Since 2002, we’ve helped leading companies, nonprofits, philanthropic foundations, and government agencies become more collaborative. We also live our work, collaborating aggressively with partners and sharing our knowledge openly and broadly. Our work ranges from strategy consulting to commissioned research. Past clients have included the International Institute of Education, NASA, Sierra Club, Wikimedia Foundation, and the World Economic Forum. 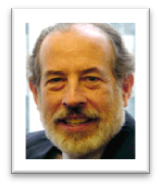 David Cournoyer is an independent consultant who works on issues of communications, facilitation, organizational development, fund development and program development. He has more than 15 years experience in philanthropy and the nonprofit sector. At the W.K. Kellogg Foundation, David provided communications expertise to youth and education initiatives, including community development and higher education programs. David served as Program Direction at Lumina Foundation for Education, chairing the foundation’s largest grants management team and co-leading the launch of the national KnowHow2Go Campaign to raise awareness about preparing for college. More recently, at Blue Cross and Blue Shield of MN Foundation, he developed a new community leadership program. 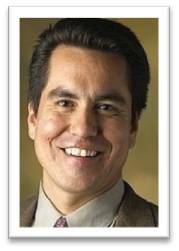 David is an enrolled member of the Rosebud Sioux Tribe. Passionate about leadership and human development, he credits the Ambassadors Program – a leadership program targeting Native professionals sponsored by Americans for Indian Opportunity – as focusing his life purpose. He currently serves on the boards of the First Peoples Fund, St. Paul Public Schools Indian Education Parent Committee and St. Paul Area Council of Churches. 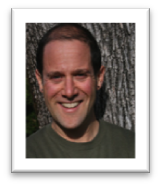 Odin has twenty years of experience in community and environmental education, organizational and leadership development, and facilitation and community design. Dedicated to building community on a local level, and connecting communities nationally and globally, Odin strives to link lessons from nature and working in community with building more effective organizations and efforts for social change. 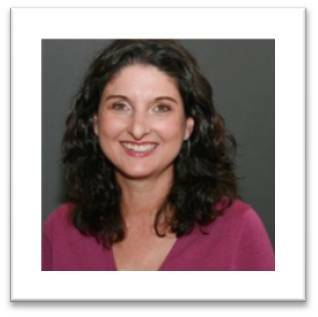 Donna Dinkin is a Public Health Leadership Consultant and an Action Learning Specialist and Coach. She is recognized for her expertise in designing, implementing and evaluating leadership development experiences for mid- to senior level human service professionals. She recently served as a co- trainer for the Center for Creative Leadership’s (CCL) Leadership Beyond Boundaries initiative at the Infectious Disease Institute in Uganda and as the team leader for the USAID Leadership, Management and Sustainability (LMS) Evaluation Project. Elissa thrives on helping organizations and organizational leadership work (and play) better. During over 20 years in the nonprofit sector, she has worked as an external learning partner with several individuals, organizations and initiatives in the areas of leadership development, organizational learning and social media, as well as program development and evaluation. Elissa also teaches in the M.A. in Leadership program at Saint Mary's College of California and is an accredited Values & Leadership Coach. Janet Rechtman, Ph.D., is a Senior Fellow at the Fanning Institute at the University of Georgia. 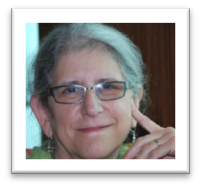 With a background in strategic planning, organizational development, marketing, and leadership development, Dr. Rechtman has nearly thirty years of experience in providing technical assistance, training and facilitation to nonprofits and community-based collaborations. Over her career, she has facilitated more than one hundred strategic plans for a wide range of nonprofit organizations, public private partnerships, and social change programs. Janet Birgenheier, the owner of JB Change Consulting, Inc., has more than 25 years of organizational change experience as a consultant and internal manager for a wide range of organizations. This includes such non-profits as JobTrain in Menlo Park, California; WestEd and the Legal Aid Society/Employment Law Center in San Francisco, California; and Kaiser Permanente in Oakland, California. She brings passion for change, client focus, and commitment to her work. 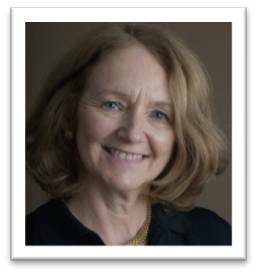 Kathleen Rice brings a passion for creating more equitable, inclusive, meaningful and caring communities to her work as an educator, facilitator, consultant and trainer in the areas of community-higher education engagement, diversity education and leadership development. She incorporates her experience and learning from over 25 years of experience with various educational institutions, non-profit organizations, and from the National Service Leadership Institute of the Corporation for National and Community Service. She worked in 6 universities from the U.S. east coast to the west coast as a member of the academic affairs and student affairs staffs, and as a member of the faculty, and has consulted with many more. She is particularly interested in engaging white people in gaining awareness of the ways white privilege and white social conditioning impact leadership in often unintended ways and is a teacher with The UNtraining: UNtraining White Liberal Racism in the Bay Area. Kim is the director of evaluation and organizational learning at BTW informing change where she leads a variety of planning, evaluation and applied research projects to inform change in the nonprofit and philanthropic sectors. She brings more than twenty years of experience looking at individual, organizational, systems and field level changes that involve multiple types of supports, sites and data collection sources. Kim particularly enjoys collaborating with diverse groups in a variety of settings including nonprofit community-based, philanthropic and intermediary organizations at the local, state, national and international levels. A large portion of her work focuses on the most effective ways to support nonprofit leaders along their own leadership path to the benefit of themselves, their organizations and the communities they serve. Kim holds a Ph.D. in Health Policy and Management from the Johns Hopkins School of Public Health and a B.S. in Nutritional Sciences from the University of California at Berkeley. Dr. Manuel Gutiérrez is Vice President and Senior Research Scientist at Metis Associates, a research and consulting firm located in New York City. He has over 30 years of experience as an evaluator, consultant, and researcher in the fields of education, youth employment, pregnancy prevention, youth development, comprehensive community initiatives, and leadership development. He brings to his work a deep understanding of children, youth, family, and community issues framed within a systems perspective. Manuel has been the principal investigator of a number of foundation-sponsored leadership programs including the Annie E. Casey Foundation’s Children and Family Fellowship Program, the Ford Foundation’s Leadership for a Changing World, the Rockefeller Foundation’s Next Generation Leadership Program, and the Eisenhower Fellowships. Diane Johnson-McCarthy has been working with community-based organizations, national initiatives, municipalities, national and community foundations and not-for-profit organizations focused on social change for more than twenty-five years. Dr. Johnson has worked in the business, public, community and social sectors in a multitude of roles --- from marketing sales rep and communications specialist to program director, project manager, researcher, trainer, consultant, director of development and program evaluator. Areas of expertise include partnership development, cultural capacity, leadership development, executive coaching and organizational development. She holds a doctorate from Tufts University, and is currently pursuing a Masters in Divinity from the Pacific School of Religion in Berkeley, CA. A native North Carolinian and the daughter of immigrants from India, Gita Gulati-Partee is a practical visionary and a tempered radical. She approaches work and life with a sense of purpose and possibility. She founded the national consulting practice OpenSource Leadership Strategies, Inc. in 2003 to build organizational and leadership capacity for breakthrough social change. Gita brings expertise in asset-based methods of inquiry and engagement, organization and network development, adaptive leadership and change, strategy, and advocacy. She is a program partner of the Wildacres Leadership Initiative, co-manager for the NC Peoples' Coalition for Giving, part of the faculty of the National Gay and Lesbian Task Force's Academy for Leadership and Action, and co-creator with stone circles of the social justice leadership development program Sustainability and Solidarity. Previously, she served as senior consultant to the Center for Lobbying in the Public Interest and co-director of Duke University’s annual Institute in Nonprofit Leadership. Gita has published books and articles on advocacy, philanthropy, nonprofit management, education, and racial equity. 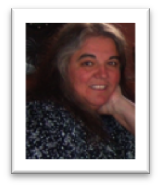 Patti Anklam is an independent consultant with expertise in networks and collaboration. Her expertise encompasses network development, social network analysis, complex decision-making, and knowledge management systems strategy and architecture. She focuses her personal learning and client work on helping companies to design and build effective networks and to leverage their collaborative potential. Her services focus on leadership development, sense-making, and the role of networks in organizational and personal effectiveness. Patti combines her deep understanding of social organizational dynamics with expertise and experience in social media, bringing insight and practical advice to leaders who want to understand how to improve their capabilities in a networked world. She wants leaders to understand the language of networks so they can be more effective. She is a recognized leader in the field of social network analysis for knowledge management, and is a frequent speaker and writer on the topic. Her book, Net Work: A Practical Guide to Networks at Work and in the World, was published in April 2007. Raquel is a highly experienced nonprofit professional who has demonstrated the ability to lead diverse teams of nonprofit and philanthropic professionals to new levels of observation, thinking, and acting capacity for national foundations and community based nonprofits across the United States. She has strong ethnographic researching skills and results-based accountability background with the ability to effectively analyze and communicate a complete picture of interrelated investments in community issues by a variety of stakeholders. She also is a master facilitator of learning processes for large and small groups of professionals and committed community activists. Patricia St. Onge is the founder of Seven Generations Consulting and brings over twenty years of experience leading and working with nonprofit and public sector agencies. As a consultant and coach, she provides training, consulting and technical assistance in the areas of community organizing, social justice advocacy, organizational development, and cross-cultural effectiveness. 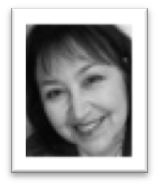 Patricia is a transitional consultant, providing interim leadership, and leadership searches. She serves as Chair of the board of directors for Common Counsel Foundation. Dr. Hanh Cao Yu (PhD. Stanford University) is Vice President at Social Policy Research Associates, where she oversees much of the company’s research and evaluation work in effective philanthropy, youth, and education. 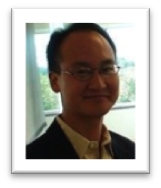 Dr. Yu has expertise in qualitative and quantitative research in the areas of leadership development, social change and women’s philanthropy, organizational effectiveness, policy advocacy evaluation, community organizing, vulnerable populations, racial equity, diversity, and inclusion. 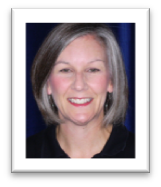 She has a wealth of experience in working with foundations to assess funding priorities, institutional change, program performance, and effective outcome measures. 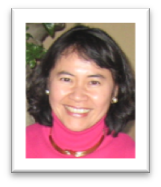 Shiree Teng has worked in the social sector for 30 years as a social and racial justice champion – as a front line organizer, network facilitator, capacity builder, grantmaker, and evaluator and learning partner. Shiree brings to her work a lifelong commitment to social change and a belief in the potential of groups of people coming together to create powerful solutions to entrenched social issues. Shiree has an intimate understanding of the issues and challenges related to working in communities of color and dynamics of class, culture and power. Having spent her life in the social sector, Shiree comes to the work from the perspective of building capacity. For the past twelve years, Shiree has worked as a Program Officer and Consultant to Packard Foundation’s Organizational Effectiveness program. Shiree leads the statewide technical assistance team of La Piana Associates to support The California Endowment’s Healthy Returns Initiative. She is a member of the national consultant pool for the French American Charitable Trust’s Management Assistance Program. 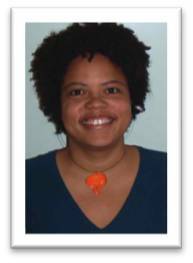 She has worked on the evaluation and capacity building teams for the Hewlett Foundation’s Neighborhood Improvement Initiative, and is the lead evaluator for NCDI’s five-year capacity building effort funded by the W.K. Kellogg Foundation in Benton Harbor, Michigan and in the Mid-South Delta region. Shiree leads by serving, using a culturally-based approach and relying on core competencies of strategic thinking, listening and synthesizing, connecting, and mobilizing action. 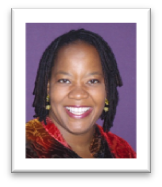 Jara Dean-Coffey, MPH is Founder and Principal of jdcPartnerships. jdcPartnerships works at the intersection of strategy and evaluation focusing on small to mid size organizations in the social and philanthropic sector. Their approach includes strong development and capacity building principles. They function as a learning partner and co-creator, engaging clients in dialogue to create a structure, process and tools that support their decision making and integrate with other responsibilities and ongoing work. Her team's span the fields of public health, community health, health disparities, racial equity, social justice, early care and education, children and families, youth leadership, nonprofit leadership, philanthropy, and social change.